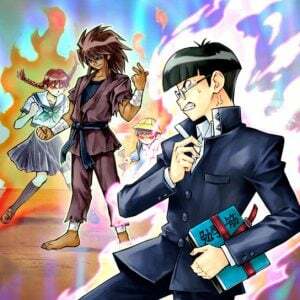 The Difficulties of Draft in Yu-Gi-Oh! 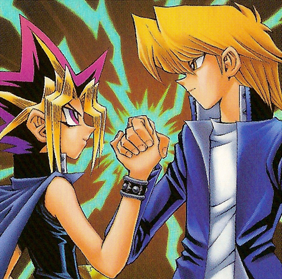 Welcome to the first in a series of articles exploring alternate formats in Yu-Gi-Oh! Unlike most card games, the majority of Yu-Gi-Oh! is played almost exclusively in either the current advanced rules tournament format or casually. In fact, the term ‘format’ in Yu-Gi-Oh! typically refers to a specific ban list period rather than an alternate way of playing the game entirely. This has the issue of leaving a lot of sub-par, but otherwise interesting cards by the wayside. However, through the magic of alternate formats, you can put those less-used cards to work, and find new ways to play and enjoy the game! A ‘Cube’ is a set of cards that someone creates with the intention of drafting them. 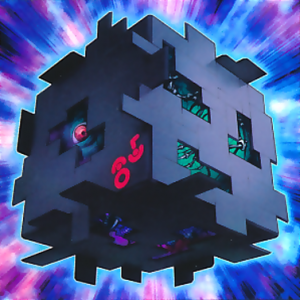 The term originates from the Magic the Gathering community, referring to the way that most cubes are stored (in a big box, though in practice these boxes are usually rectangular). Cube is identical to draft, except instead of opening booster packs, the cards are drawn from ‘artificial packs’ made from the cube – the cube may contain, say, 360 cards, and then each ‘pack’ is simply a pile of 15 random cards from the cube. To start, shuffle the cube and divide it into ‘packs’ (facedown piles) of 15 cards (though Yu-Gi-Oh! packs are normally 9 cards, the Magic the Gathering standard of 15 card packs works more smoothly for a cube environment). Create 3 packs per player. This means that your cube needs to be 45 cards total per player it supports. For a ‘full cube’ that can support 8 players, this means 360 cards, though smaller cubes built for 4 or 6 players can also be made. Once each player has their three packs, everyone opens (looks at) the first pack. They pick one card from it, and then pass the remaining cards to their left. The cards you pick will be used to build your deck. This process repeats until each pack has had all the cards chosen from it. Once the first pack is done, players open the next, this time passing cards to the right. When the second is done, the final pack is opened, passing left again. Once each player has drafted three packs, they should each have 45 cards. From this, they remove 5 cards to make a 40 card deck. Alternatively, you can play with smaller decks or 30 or 35, allowing players to be more selective with their deck building. Once decks are built, players play against each other normally, usually round-robin, though any tournament structure can be used. In other card games, most notably Magic the Gathering, booster packs are built with draft in mind. In Yu-Gi-Oh! though, this is very much not the case. Though there have been a few Yu-Gi-Oh! sets made with drafting in mind (the battle packs), even these have issues, and normal packs are very much unsuited for drafting. There are a few reasons for this. The main reason is simply that Yu-Gi-Oh!’s focus on archetypes makes most of the cards in a given pack useless outside a very specific deck. In any given pack you may only have one or two cards that even do anything at all outside the context of their home deck, making a draft with modern packs basically a waiting game of hoping you draw one of your few cards that actually do anything. Older packs are far from perfect as well, though for different reasons. Even if you got your hands on a supply of packs from before the dominance of archetypes (not a cheap proposition), you still wouldn’t net a particularly great draft environment, as the sheer volume of high level monsters and situationally useful spells and traps means that the majority of the cards are still worthless. The battle packs, being specifically designed with draft in mind, are a much better environment, in that at least they’re playable and reasonably fun most of the time. However, their specific design leaves something to be desired, and the simple fact that they require you to buy and open packs every time you want to play is sort of an inherent flaw that’s hard to get over, especially considering how few cards of actual value are contained within those sets. A cube, however, can solve all the problems mentioned above, if built well. Since it’s made from cards you already have and doesn’t require opening packs, it can be played and enjoyed indefinitely. You can set the balance of monsters, spells, and traps to your liking, and add the right amount of removal and battle interaction to make sure that one player doesn’t just wildly run away with the game. You can even make a themed cube to provide an interesting and unique experience. Most importantly, cube is a fun and skill-testing format. Since players build their decks on the fly and all draw from the same pool of cards, there is absolutely zero ‘pay to win’ factor – a budget player and a pro will be separately only by their skill. Even better, since the decks you build will be different every time due to how the packs are shuffled and how your opponents pick cards for their deck, a cube has incredible re-play value. Tired of playing the same deck over and over again? With cube, your worries are over. The only real hurdle to playing cube is building a cube that’s balanced and enjoyable. But if you follow the advice below, honed and tested by a builder of multiple different cubes, you’ll be well on the way to enjoying this great format. The first thing to think of when making a cube is whether you want a theme, or perhaps even multiple sub-themes. 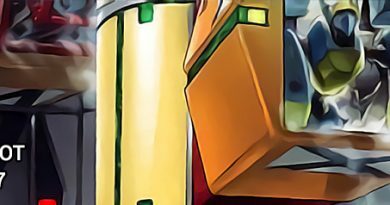 The easiest and honestly one of the most fun cubes is one that’s loosely ‘themed’ around early Yu-Gi-Oh! This cube would largely consist of older staples and lots of vanilla monsters, and can include sub-themes based around the first proto-archetypes such as zombies, warriors, and tribute summoning. Generally speaking, when you include a theme or sub-theme in a cube, you want something broad. Warrior support, for example, is a better idea than say, X-Sabers, as its much more generic. Now, one thing you can do is go the battle pack route and simply declare that all monsters count as all types and attributes. You could even go further and say that all monsters count as having all archetypes. This method has advantages and disadvantages. On the one hand, this opens up a wide pool of archetype-specific cards that otherwise wouldn’t really fit in a cube due to being too unsure of whether you’d be able to get enough together for them to work. On the other hand, by making everything generic, you take away some of the skill involved in trying to draft specific cards to build a focused deck. Whether or not to include an extra deck is a decision you should make early in the cube-building process. My personal recommendation, especially for a first cube is to simply ignore the extra deck entirely and not include any extra deck cards in your cube. First, extra deck cards should be separated out from the normal cards in the cube and ideally drafted in their own pack first, before the rest of the cards. The reason for this is that when you draft the rest of your deck, you want to have in mind trying to get cards that will allow you to access the extra deck monsters you picked. For example, if you drafted a very strong rank 3 XYZ monster, you might prioritize level 3 monsters. This can add an interesting layer to drafting strategy. The other suggestion is that you should stick to mostly one kind of extra deck card. For example, if you want to have a fusion-themed cube, consider only having fusion monsters and not synchro or xyz. (For a fusion cube you should probably give everyone 2 or 3 copies of polymerization for free as well, or you won’t actually see too many fusions happen in play). 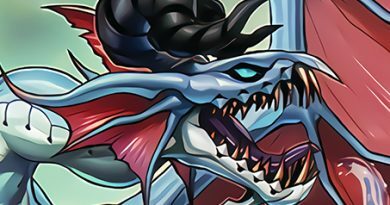 Finally, whether or not you decided to make all your cards count as any type and attribute, you should highly consider making all requirements for extra monsters generic. Especially when considering synchro monsters, the majority of synchro monsters require archetype specific monsters and tuner, and not using them for that reason (or using them and then requiring that if someone wants to actually play them that they hope to draft and then draw those very specific cards) is locking out a wide pool of otherwise fun cards. With the often cobbled-together nature of draft decks, just getting the right levels of monsters is hard enough, making someone have the right attributes too is a recipe for your exciting extra monsters to never actually see play. One thing to keep a very close eye on when building your cube are the ratios of monsters to removal to other spells. The following ratios are guidelines, but I would avoid straying too far from them unless you have a specific reason to. 30% level 4 or lower beater monsters: This is the backbone of a cube. Monsters that can be normal summoned and can attack effectively. You might want to lower this amount if you are building a cube more focused on say, building up to synchro plays, but even then, you need to have some of these or players who fall behind will never be able to recover. 30% level 4 or lower utility monsters: These are also important. 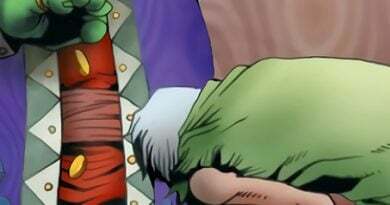 This is a broad category that can include monsters with high defense, flip effects, or simply utility effects such as searchers, monsters that double as removal, and the like. If you feel like cutting from one of the other categories, this is the one you should probably be adding to. 10% level 5 or higher monsters: Not every cube needs tribute monsters, or even this many, but cube can be a fun place to play tribute monsters that would otherwise never see play. If you do run tribute monsters, don’t run more than this many, as they clog easily. If anything, run less (maybe more like 5%) and replace the rest with either more spells or more utility monsters. 15% removal spells/traps: A key part of a cube is removal. This doesn’t necessarily have to be in the form of destruction – powerful ATK boosts can also function as a form of removal – but removal is absolutely essential to allow for players who fall behind or face down a buffed enemy monster to be able to come back. 15% other spells/traps: This is sort of a catch-all for other spells and traps such as revival, stalling, draw power, etc. You want to have some of these, as they can be a lot of fun, but having too many spells and traps can lead to boring games where someone gets flooded and never draws a monster. As for the ratios of individual cards, traditionally cubes are built with only a single copy of each individual card. However, there’s no reason you can’t include multiple copies of a single card if you particularly like it or it fills a certain role in your cube. 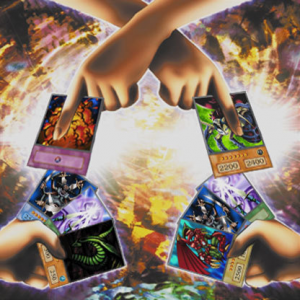 In fact, including lots of multiples can allow for interesting mini-themes such as running three of each of the jar cards (morphing, cyber, morphing #2, and fiber) for a chaotic cube, or running three of every lightsworn card to add a lightsworn sub-theme. One of the biggest hurdles to building a cube is selecting the right cards for it. While selecting cards for your cube is really more of an art than a science, there are a few general rules you want to keep in mind. First, try to pick cards with relatively simple text boxes. This can be difficult, especially with how incredibly wordy modern cards have become, and is a big reason that many cubes focus more on older cards than newer ones. The reasoning for this is twofold: first, cubes are usually played with multiple people forming a mini-tournament of sorts, and at least a few of these people are likely unfamiliar with many of the cards in your cube. This is especially true since most cubes contain offbeat card choices many will be unfamiliar with. The more complicated a card is to read and understand, the more time everyone will have to wait for other players to read the cards, which is time wasted. This is another reason to pick classic, easily recognizable cards as well. Second, try to include cards that have generic, broad effects. Though niche cards can be interesting, you want cards that appeal to multiple deck types in order to add tension to the drafting experience. Third, try to omit or go very light on cards that search. Though a key part of most tournament decks, searchers can dramatically slow games down as players look through a deck they just built and are unfamiliar with. If you do include searchers, try to make them narrow (such as the mystic tomato cycle of cards) in order to limit the available options and encourage certain deck types. Fourth, try to make every card at least somewhat useful. Though you can have a few niche cards or underpowered cards (battle ox is one of these in my cube), try not to include any truly awful cards, as these can make for boring games as someone gets stuck with a bunch of awful cards. Finally, try not to include cards that are wildly overpowered. Cards like Raigeki, Pot of Greed, and the like can be fun at times, but take away from some of the skill of a draft since they are just huge blowouts essentially obtained by the luck of having opened a pack that had them before someone else. One of the other disadvantages of playing cube is that the process of drafting can be a bit time consuming, and it doesn’t work that well when playing with a small number of players (anything less than 4 runs into issues). However, there’s a workaround for this: an alternate way to playing with a cube I call the Big Pile Method. The big pile method is simple. Shuffle the cube and pull out a big pile of say, 60 cards per player. This forms the player’s deck. If extra decks are used, shuffle them and give each player a random extra deck as well (or have a shared extra deck). From here, players play normally, but with one major rules change: when a player draws their first card for turn during their draw phase, instead of simply drawing the top card they look at the top two cards, draw one and banish the other face down. This rule is key to the format because it allows players a measure of control over their strategy without requiring them to build the decks in advance. It also helps avoid getting stuck drawing only useless cards. Played Yu-Gi-Oh! on and off since Legend of Blue Eyes was the only set out. Avid player and designer of a wide variety of games, and advocate for alternate ways to play the game. Yu-Gi-Oh! What is Card Advantage?